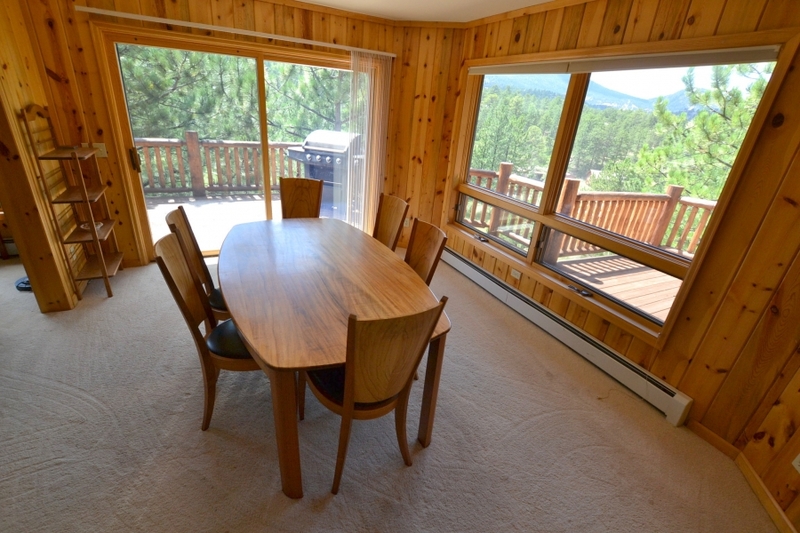 Ponderosa - Realty & Management Inc. 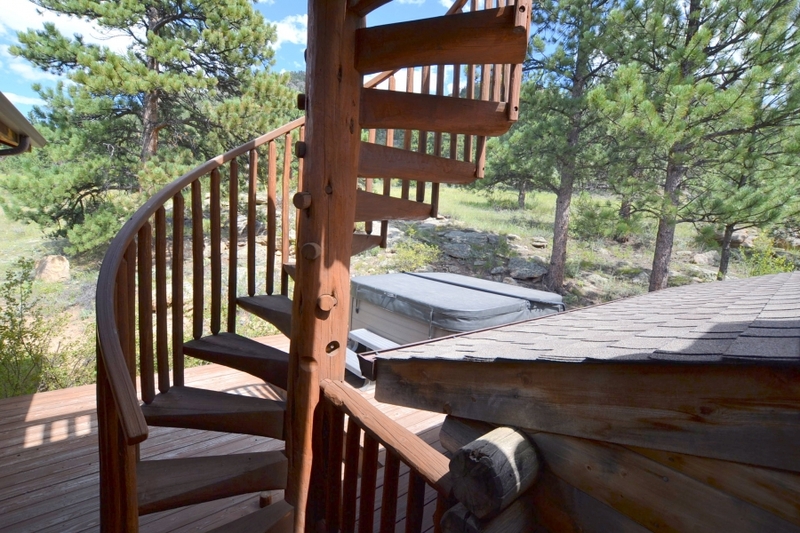 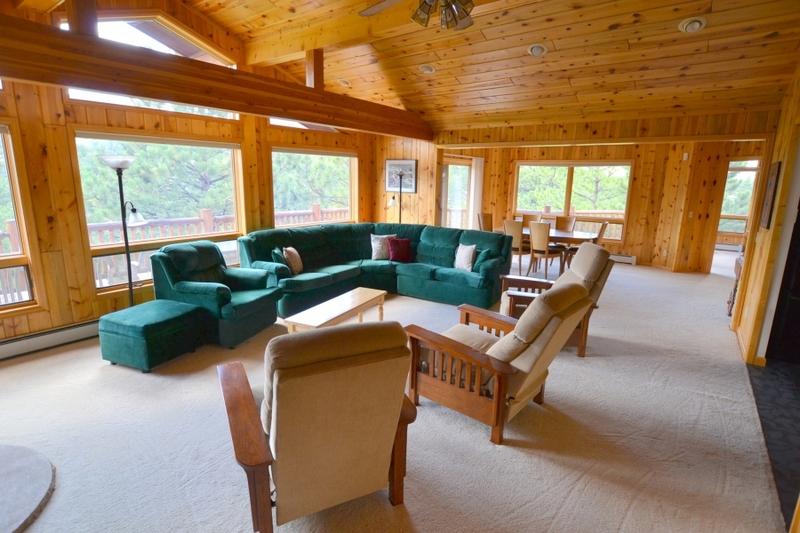 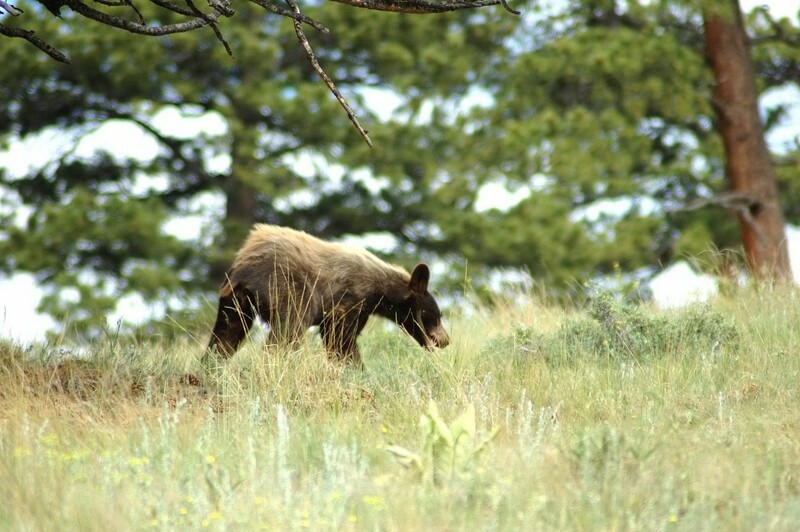 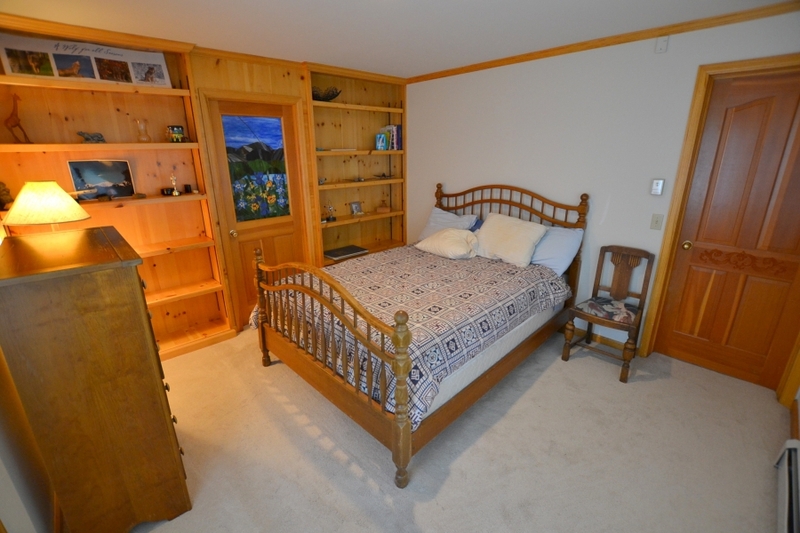 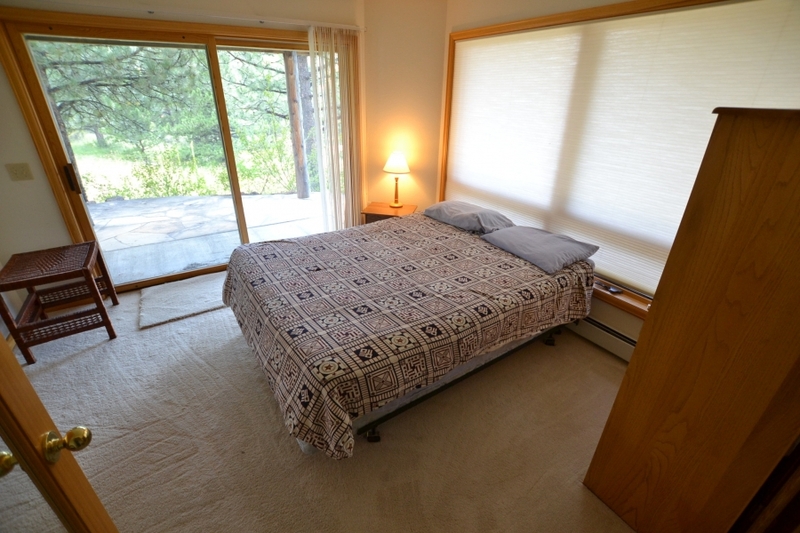 This comfortable log home with panoramic views offers a hot tub, 4 bedrooms, 2½ baths. 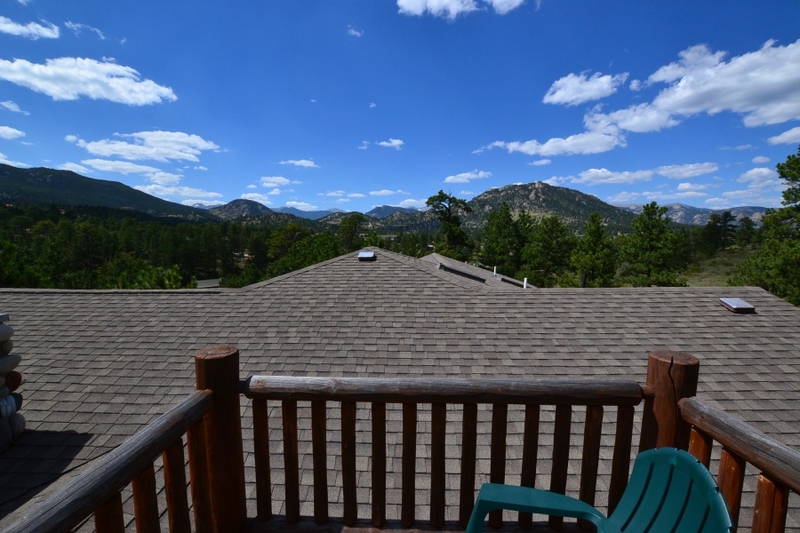 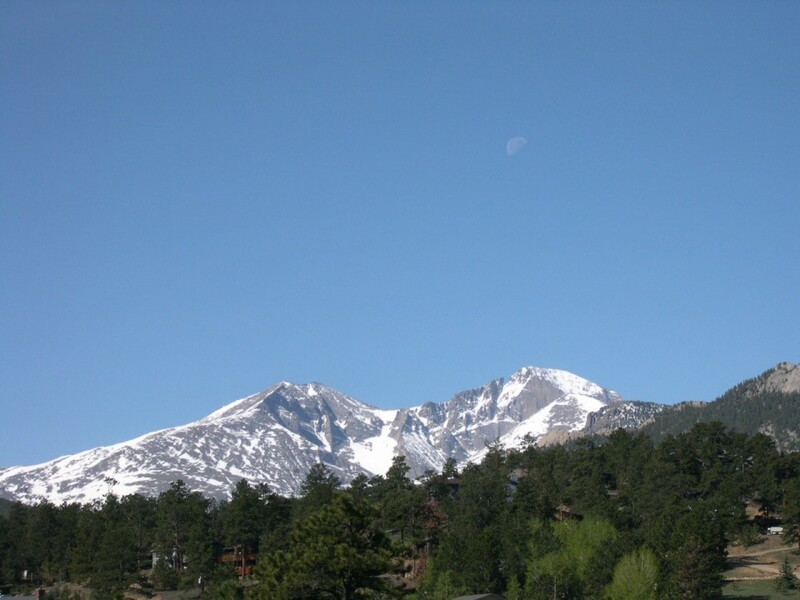 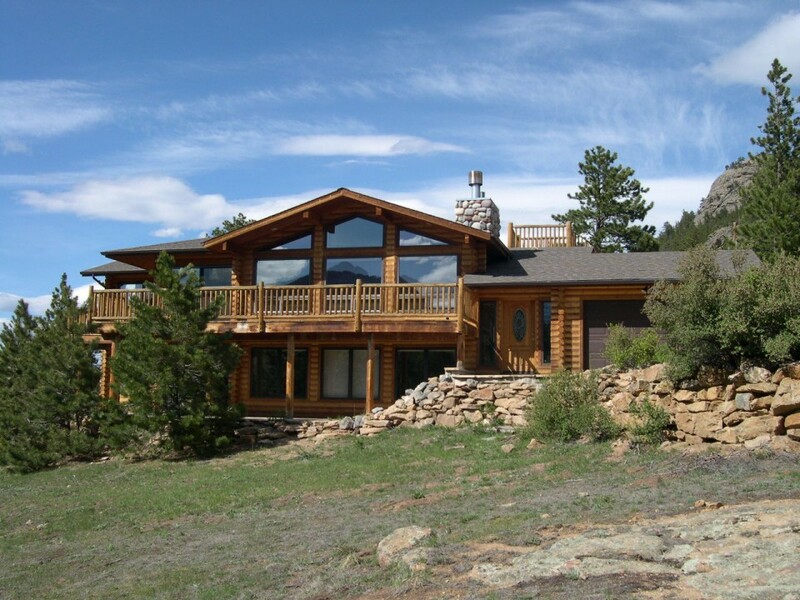 The main level of this home has a wall of windows that lead to the deck and highlight the excellent mountain views, including Longs Peak. 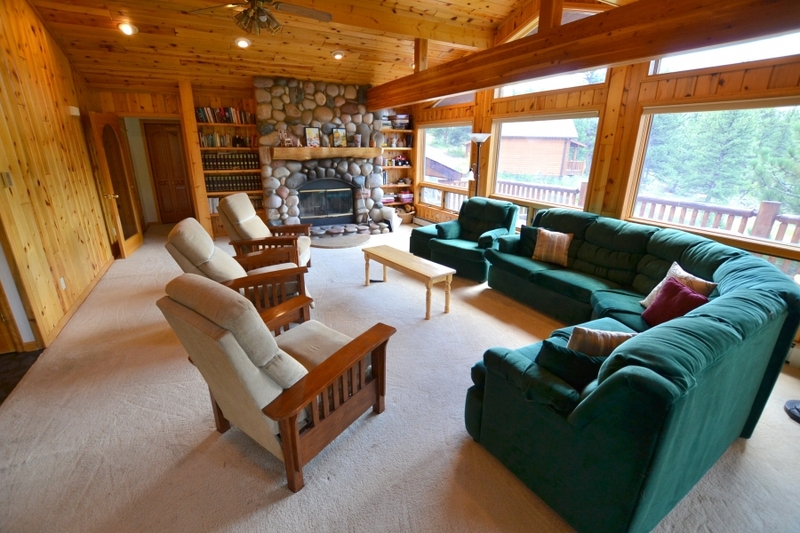 The main living area is drenched in light, has vaulted T&G ceilings, comfortable furnishings and a river rock wood-burning fireplace. 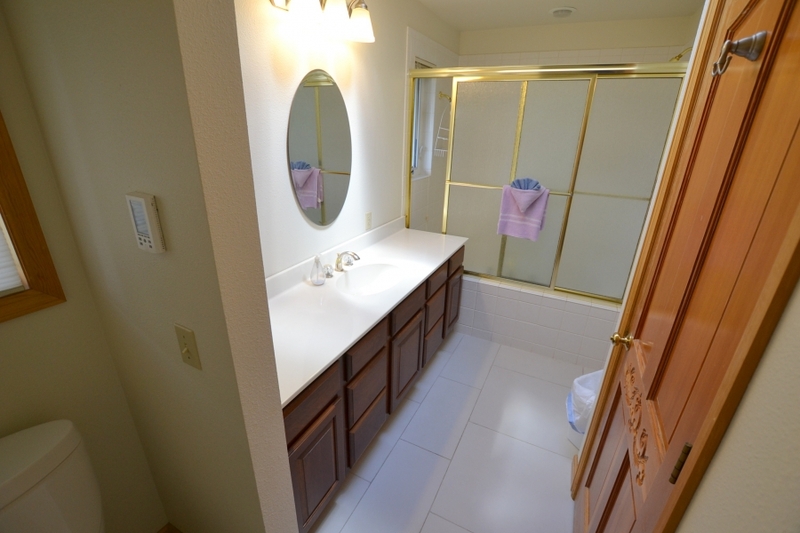 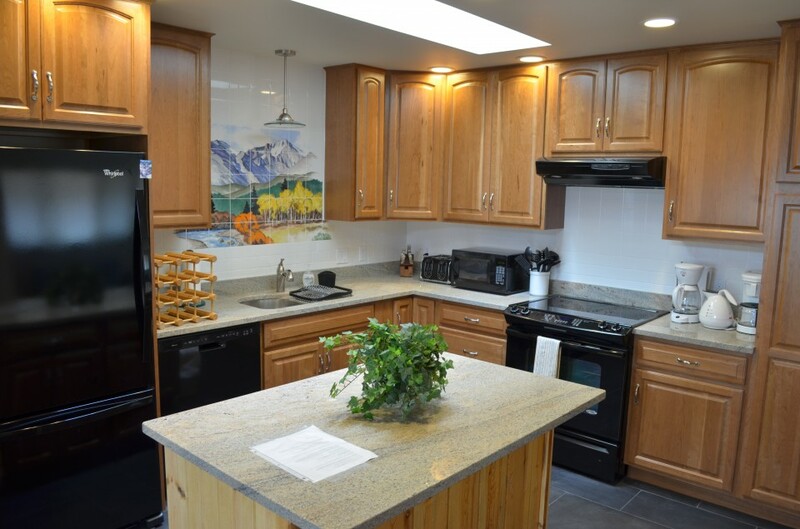 Just off the living room is the newly remodeled kitchen, which has artisan tile floors, warm wood cabinets, granite counter-tops, beautiful appliances, including dishwasher, and hand painted mountain scene. 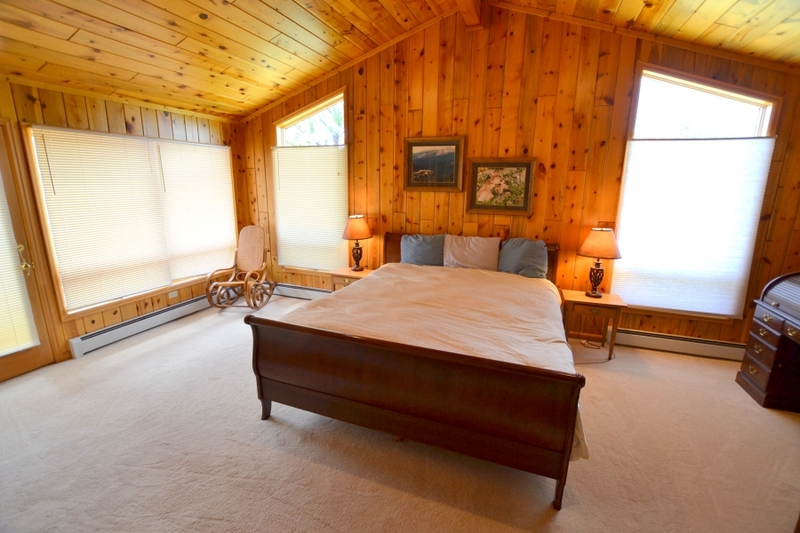 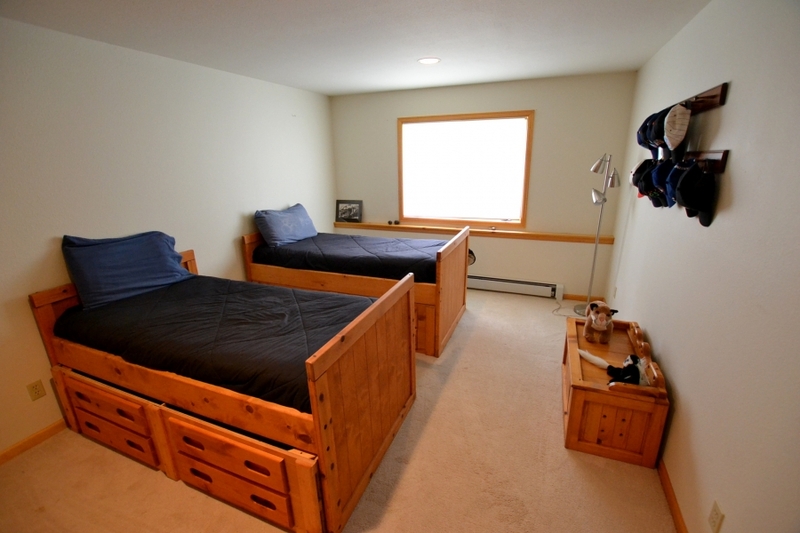 Also on the main level is the master suite, which also has wood wrapped walls for a lodge like experience. 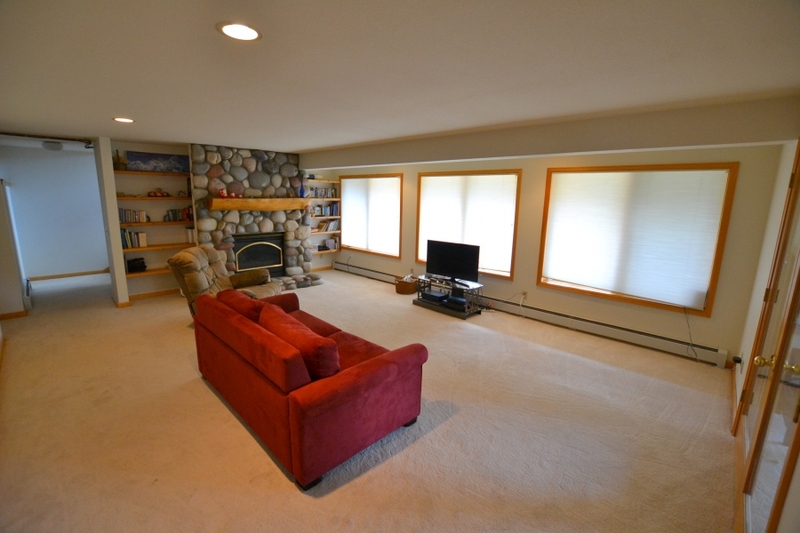 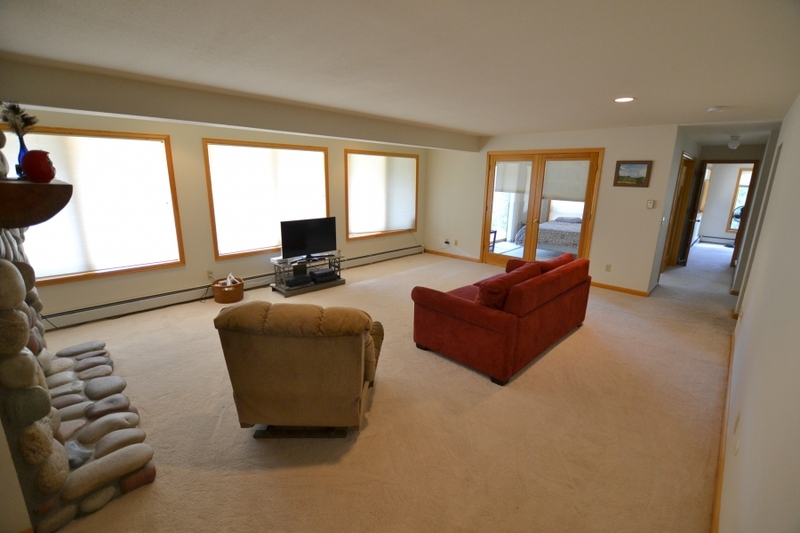 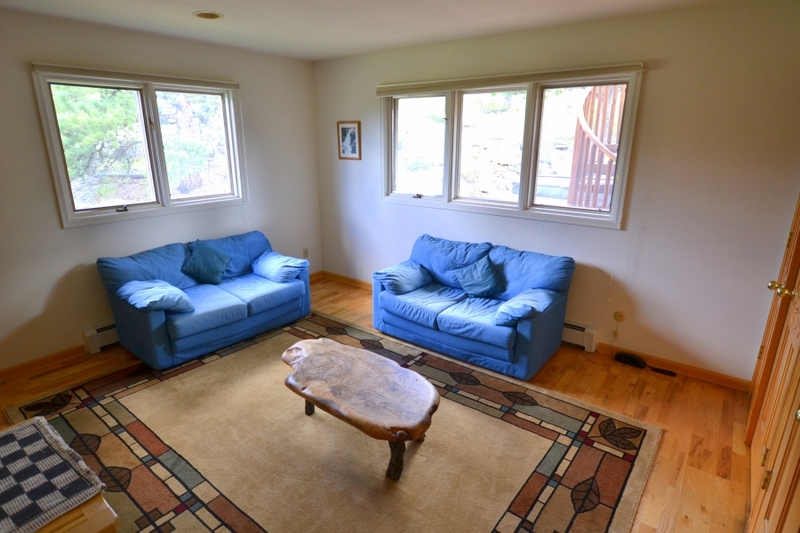 Downstairs has a second living area with river rock gas fireplace, TV and DVD player and super comfortable sofa sleeper.